Pet bathing and minor grooming are available at Stephen Terrace Veterinary Clinic. 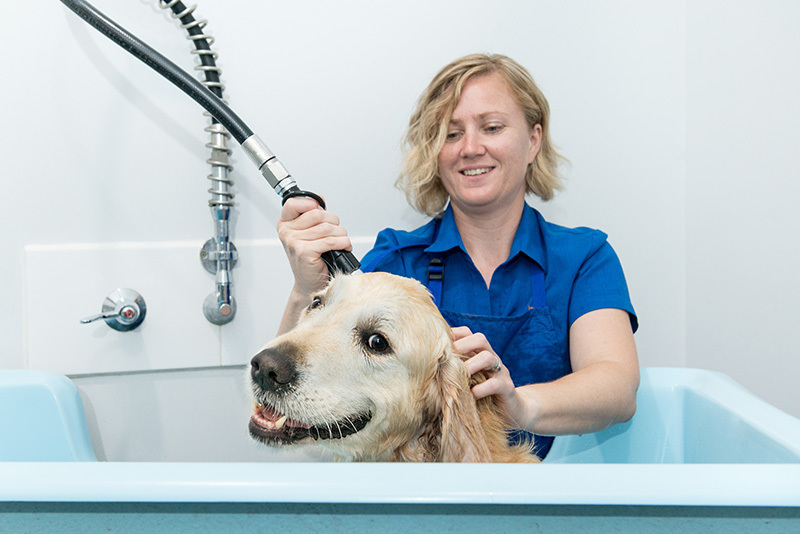 Our nurses are trained to advise appropriate shampoo and or conditioning regimes for your pet. Our veterinarians are always available to prescribe specific medicated treatments as part of the management of any sensitive skin, eczema or dermatitis cases. Bookings are essential. Is someone getting a bit smelly? Call us at 08 8362 6688 to book your pet in for a groom!